Once upon a Christmas Past, the “Old time” Caymanians celebrated a humble Christmas- far different to the one we experience today. If you were to travel back to an old time Caymanian Christmas, you would receive fewer gifts, have a traditional tree and a beautiful white sand yard, lined with shiny pink conch shells and a crisp house exterior, freshly white-washed for the season. Fast forward to Christmas Present, and you find yourself in a rush to deck the halls with the latest holiday trinkets and buy mounds of gifts for family, friends and loved ones. How do we regain that magic and capture the special spirit of Christmas Past? Perhaps it is as easy as taking a moment to appreciate the Christmases that have come before us. Take a trip down memory lane and rediscover what made a traditional Caymanian Christmas so special. Many mistakenly think that the traditional Cayman Christmas tree is a Casuarina (or Australian pine) tree. However, the real traditional tree comes from Sisal, a native Agave plant. It was important to cut the plant down when it was at its driest, after the flowers had fallen off the branches. The Sisal tree was then decorated with handcrafted silver thatch and seashell ornaments. Most families would place the tree inside their home for the family to enjoy. Even islands can have a white Christmas, so to speak. Back in the day, Caymanian women and their children would fill their silver thatch baskets with sand to come home and create a gleaming white blanket in their front yard in place of snow. This little tradition was often done during nights when the moon shone brightest and started as early as October. Children gathered pieces of broken crockery or bottles to make “moonshine duppies” to stick in the sand which reflected the light of the moon and served as the islands’ first Christmas lights. Christmas Eve brought much delight as the sand was raked into various patterns and designs with a rosemary broom. This was an extra special way to bring Christmas cheer to all. Conch shells would line the path way, to complement the decorative patterns in the sand. In Cayman it was all about seashells instead of jingle bells. An old fashioned Christmas focused more on families spending time together, than gift giving. For the greater part of the year, the Caymanian men would be out at sea, so coming home for Christmas was an extremely special time of year. Gifts for children were sparse and served more of a practical purpose. Children did not hang stockings as many do today. Back then, receiving a pair of socks was a special treat to look forward to. Other traditional gifts found on Christmas morning were oranges and apples. Cayman Style Beef arose from the tradition of having local beef served for Christmas dinner; the highlight of the year. In those days, beef was considered a luxury so families would save up the whole for the festive dinner. Ground provisions such as yams, plantains and cassava would accompany the main entree. Dessert would consist of either a fruit cake soaked in rum, heavy cake or cassava cake. This was all washed down with a local, spiced red drink produced from the sorrel plant which is still popular today. Carols were sung throughout our little islands. Back in the olden days, Caymanians with a passion for singing would take part in what was known as “marching.” Prior to the Christmas holidays, a group of individuals would “march” from house to house in their district, singing carols and playing instruments such as drums and guitars. 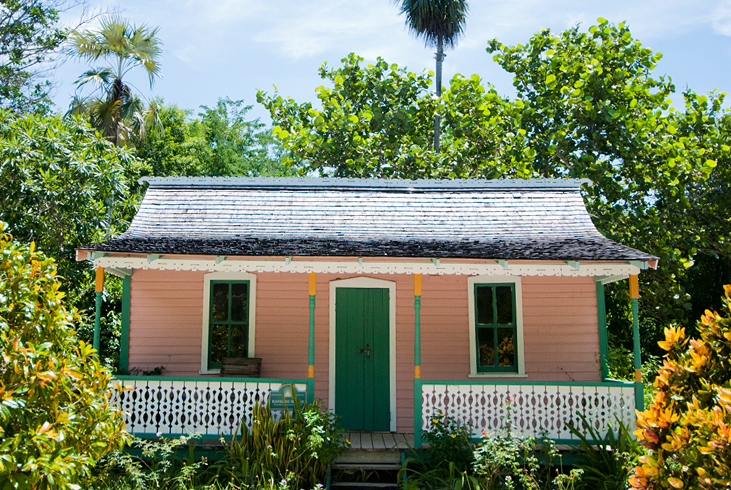 Kitchen Band dances would also be held in tiny kitchens across the islands, where family and friends would squeeze inside to hear traditional instruments like the fiddle, kitchen grater and maracas being played. The guitar and drums were later added as staples of the kitchen band ensemble. We hope you have enjoyed a trip down memory lane as we paint a picture of the traditional Cayman Christmas. For some, this will have brought back fond memories, for others it may have opened a doorway to a time almost forgotten. Feel free to leave us a comment and share your favorite memories of Christmas past. Do you have a favorite Christmas tradition? From all of us at the National Trust for the Cayman Islands we wish you and your family a wonderful Christmas and a Happy New Year! Special thanks to guest blogger Laura Butz aka EcoChic for her tremendous help with this post! Why does “Heritage” sound so…dusty? It is easy to write off the idea of heritage as an old, antiquated concept. It can bring to mind images of crumbling castles in the English countryside or elderly people telling stories about how different things were when they were growing up. With seemingly all the trappings of the ultimate yawn-fest, why does ‘heritage’ really get such a bad rap? Could it be that some people have relegated their definition of heritage to a very tiny box containing some stuff that they may one day find important but not particularly relevant today? For young adults who are entrenched in the ever-quickening insta-culture of social media, the thought of finding value in things of the past pales in comparison to the thought of upgrading to the shiniest, newest, fastest piece of handheld technology. Others simply do not have a full appreciation of what heritage actually is. Yes, it’s easy to state that heritage is anything inherited from the past. But on deeper reflection, we will come to understand that heritage encompasses everything from the language you speak, the colour of your eyes, your ancestral background, your family’s country of origin, the natural environment of that country along with cultural and historic sites and traditional foods. Here’s where outdated perceptions of heritage run awry: It assumes that heritage is backwards looking only. On the contrary, the whole point of heritage preservation is to in fact secure the future. And not just in a “do it for our children and grandchildren” old-fashioned-quaker-oats way that doesn’t envisage any immediate benefits. Although heritage will always have its historic links, that doesn’t mean that it isn’t alive, vibrant and still very relevant today. In fact, our heritage has crafted and influenced every part of our consciousness, character, personality and even our physicality – basically everything that makes us the colourful humans we are. It helps to define a sense of belonging, an identity for a community. It can contribute to feelings of connection and confidence. Heritage can excite curiosity about our past and enrich our daily lives. It is because of our individual, and now global, heritage that we are able to enjoy everything that we do today. Without the celebration and preservation of our heritage, our individual and collective identities will become more and more vulnerable over time. The challenge we must now surmount as the guardian’s of Cayman’s heritage is what CEO of English Heritage, Simon Thurley calls the “heritage cycle”. This strategy prescribes creating a better understanding of heritage, to help people value it. When people value it, they will want to care for it. By caring for it, they will enjoy it and help others enjoy it. When people enjoy heritage, a greater thirst for understanding develops thus bringing it full circle. We firmly believe that on some level, everyone cares about their heritage. It is our intention this year to help people realise (and perhaps remember) just how important it is to them by developing their understanding of what heritage is, how it contributes to their everyday life and how it can positively impact their future. I recently watched a documentary entitled “10 Questions for the Dalai Lama”. I was pleasantly surprised by how incredibly practical the Dalai Lama’s answers to the interviewers question were. One answer in particular validated some thoughts I had been mulling over in relation to what the outside world considers Cayman’s ‘less desirable’ traditions. The question the Dalai Lama had been asked was: “To what extent should cultural traditions be preserved”? He stated that some traditions are worthwhile and should be kept but some traditions, such as forbidding widows to remarry in his culture, are outdated and should be abolished. If this ‘holy man’, whose leadership role was birthed out of religion-steeped traditions stretching back thousands of years, could have such a practical and progressive view on moving on from traditions that no longer served his people in this day and age why should we as Caymanians with a much younger heritage be any less willing to do the same? With the recent attack on the Cayman Islands turtle farming and eating culture, it may be a good time to examine the practicality of continuing this arguably unsustainable tradition in its current fashion. Now before you all write me off as a culture-crushing heretic or call the Trust in a fit of anger, please understand that my grandfather and uncles, all well-known sea captains from Cayman Brac in the 40’s and 50’s, contributed to the cultivation of this early Caymanian tradition. In fact, I have been known to enjoy a good plate of turtle (lean meat only, no fin) myself on occasion. 200 years ago turtles provided visiting vessels as well as locals with a source of fresh meat. In a time where access to fresh food sources was extremely restricted and there was an abundance of turtles, little thought was given to the sustainability of this practice. Needless to say at the end of those 200 years, dwindling turtle populations forced the turtling industry to other nearby coasts. 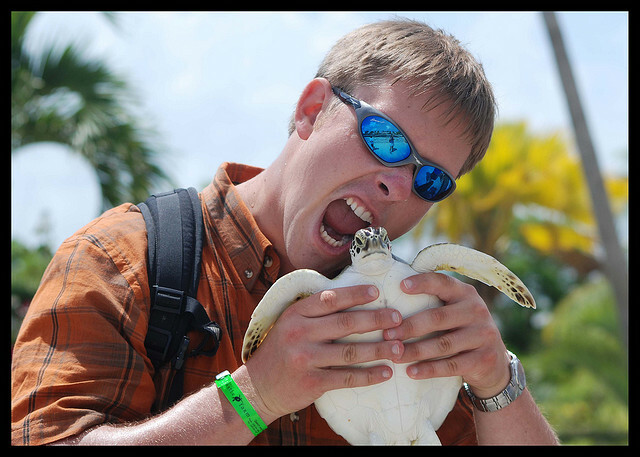 Enter the Cayman Islands Turtle Farm in its various incarnations. The Farm was birthed out of the good intention of replenishing the turtle population in Cayman’s waters. Those intentions are rarely questioned by locals, but with the Farm coming under recent fire from a particular international animal welfare group locals are beginning to consider some of the surrounding issues. Let me be clear—This is not a call to abolish the consumption of turtle meat. This is simply a call to examine the sustainability of continuing to do so at the current rate, without regulation. As much as some locals may dislike the fact that we have a regulated lobster and conch season, they have generally accepted this as a way of life and hopefully a force for good in the Cayman Islands. Although more readily available year round nowadays, local fresh beef was traditionally only available at Christmas time and is still a strong element of Cayman Christmas today. While it may have been necessary for visiting and resident populations to rely on turtles as the mainstay of their diets 200 years ago, that is no longer the case. We have large supermarkets which import more than enough food for our small population. We are also seeing the resurgence of local farming which is being welcomed with open arms by the public. Would it therefore be so incredibly difficult or devastating to our culture to consider scaling back turtle meat consumption to special occasions or a few times a year? On the contrary, I believe that we will be able to better maintain our ties with our turtling culture if we treat turtle meat as a delicacy to be enjoyed on occasion thereby reducing the demand for poached and farmed meat. We don’t have to wait for international organisations to tell us that this tradition is unsustainable and potentially harmful to islands’ marine eco-systems. Nor do we have to wait for legislators to mandate ‘turtle meat season’ to effect a positive and significant shift in our culture. Culture has always been the one thing that the people have true control over. We can ensure that turtle stew will still be our national dish for generations to come by reducing our national consumption to a limited and sustainable level.